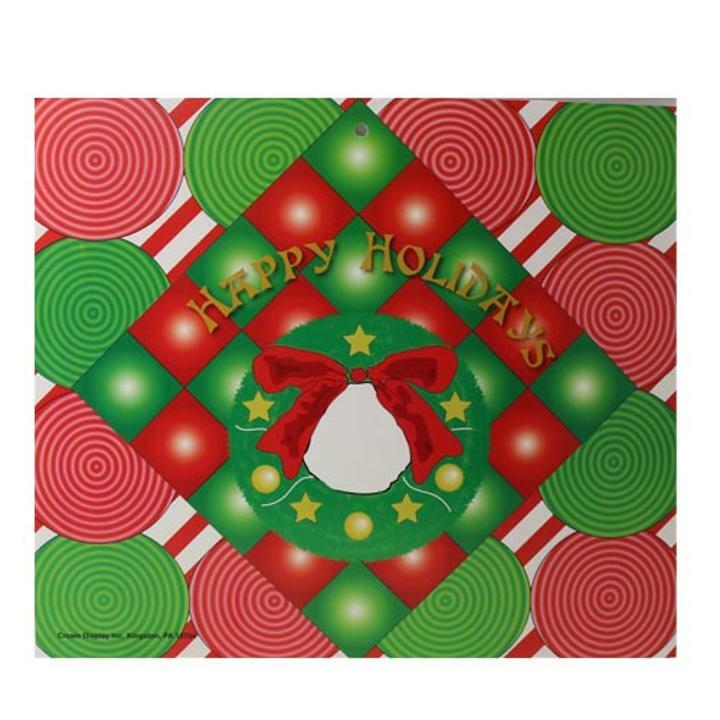 1 13"x11" Happy Holidays Geographic Christmas Wreath poster board. Each poster board features a mini wreath with stars and ornaments against a fun patterned background of red, green and white designs and shapes. Poster design is printed on both sides of a heavy card stock board, one side glossy and one matte. Easy to hang and reusable this colorful poster will bring yuletide cheer to all who see it. L: 13.0 in. W: 11.5 in. H: 0.001 in.